When done right, a kitchen becomes more than just cooking space. It can become an important centerpiece for the household – a place where you’ll actually want to spend your time. 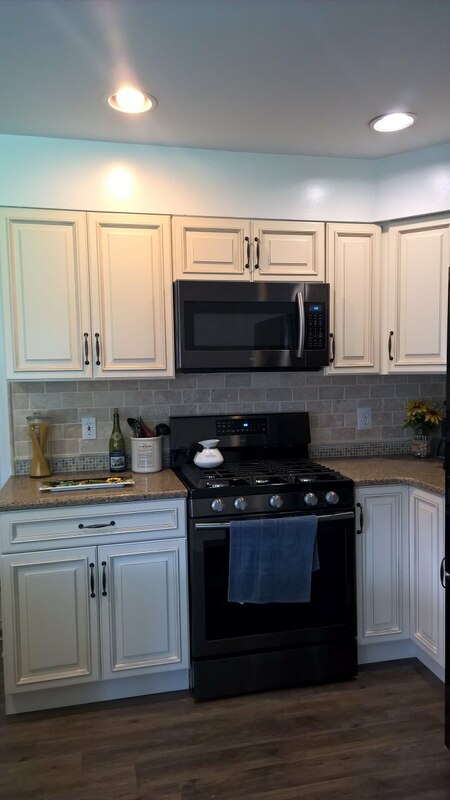 Our team at Holcomb Cabinetry met with clients in Newark, Delaware to add the perfect touch of traditional elegance to their beautiful kitchen space. The kitchen was already in the center of an entirely open first floor. On top of providing great views, large windows kept the area bright and spacious! 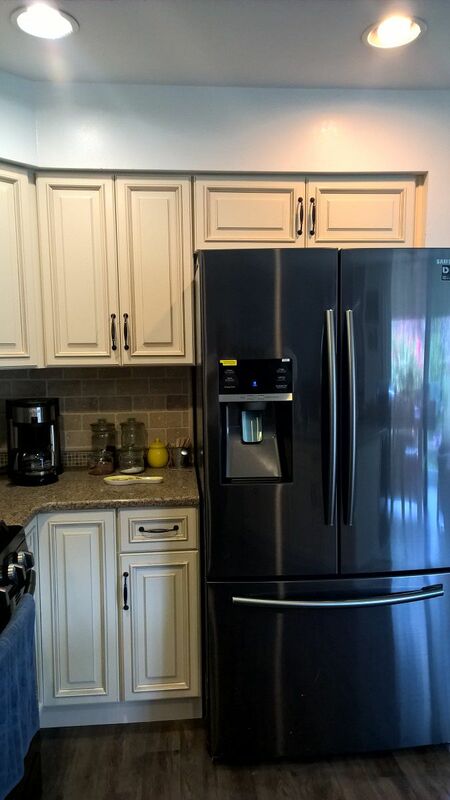 We began by turning our attention to the cabinets. For being a small area, we wanted to make sure there was tons of storage space available. 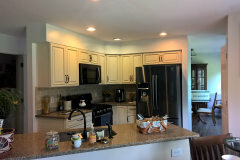 Not only does this solve the problem of kitchen clutter, we made sure the cabinets added to the aesthetics too. 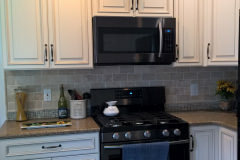 Our team recommended ivory colored Fabuwood cabinetry, which perfectly matched the kitchen’s earth-toned colors. 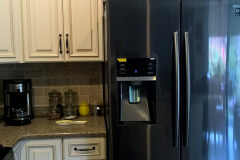 It also contrasted beautifully against the black stainless steel appliances. 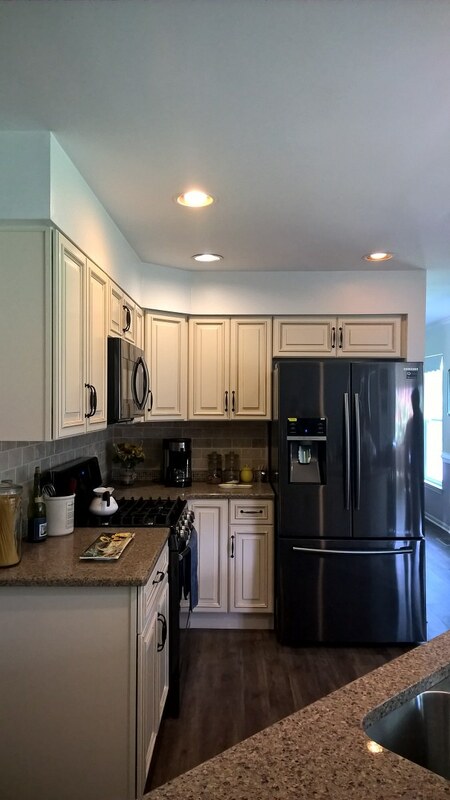 We also loved how much countertop space this kitchen had! The Coronado quartz countertops gave the decor a dash of rustic, traditional charm. 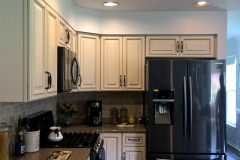 Plus, the colors worked so well with the ivory cabinets! 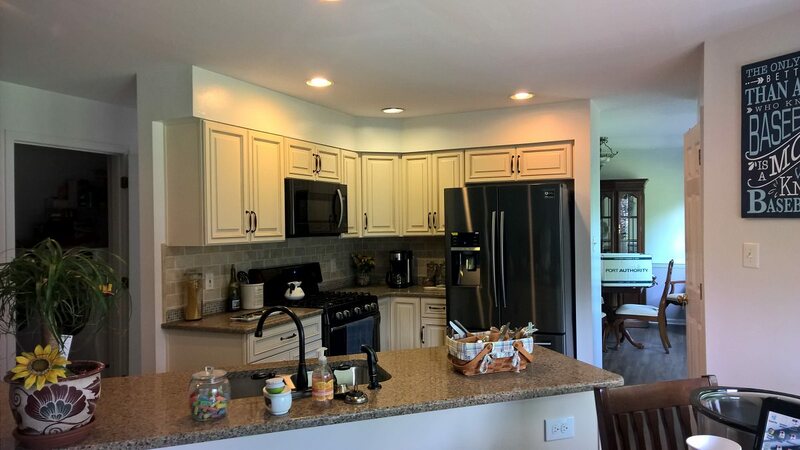 When we were done, our clients couldn’t wait to start spending more time in the beautiful new kitchen area! Ready to get started on the kitchen of your dreams? Contact Holcomb Cabinetry today to schedule your showroom tour!